Who’s looking to get their first STRICT pull-up? Who has strict pull-ups but wants to get more? These are great goals to have, and we have a way to help you get there! During the month of May, any CFHT member who completes 350 reps of the hardest version of a pull-up that he/she can manage will win a free Pull-Up Challenge tank top to show off the guns! Pick the level that is appropriate for you. You must stick with that level for the entire month. Level 1: Banded Strict Pull-Ups or Supine Ring Rows: This is for athletes looking to get their first strict pull-up. Level 2: Strict Pull Ups: This is for athletes that already have a few strict pull-ups. Level 3: Strict Chest-to-Bar Pull-Ups: This is for athletes that already have a good number of strict pull-ups. You can use any grip you would like: pull-up, chin-up, or mixed. You can also use the Muscle Up rings if you would like, but they still must be strict. We recommend that you mix up your grips each session to prevent any overuse injury. Athletes may only accumulate 35 reps in one calendar day (minimum 10 sessions over the course of the month). Each session must be recorded on the CFHT Pull-Up Challenge sheet and signed by a CFHT coach. All of the reps do not need to be witnessed by a coach, but they must be validated by a coach. The score sheets will be in the office. The point of this challenge is to build strength. 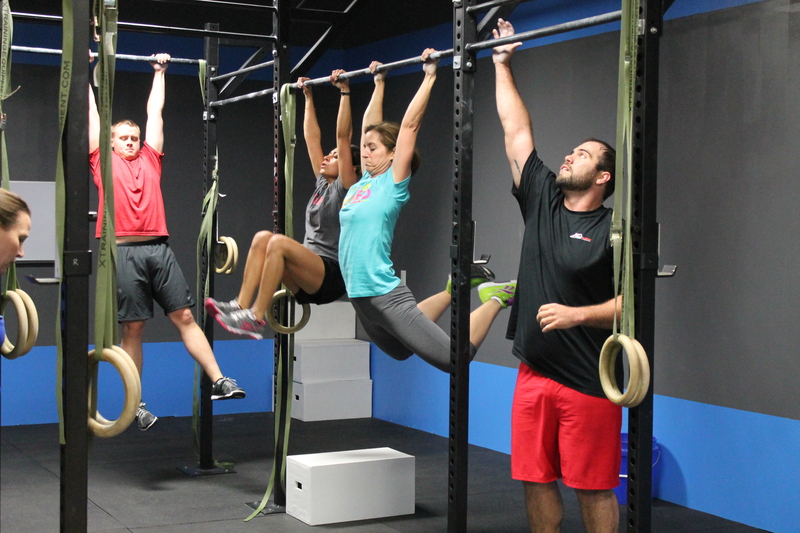 Kipping is a skill-based movement that requires strength in the pull. The stronger you are with the strict pull-ups, the easier it will be to accomplish a kipping pull-up. This challenge will start on Wednesday, May 1 and finish on Saturday, May 31. Please let Julie know if you are going to do the challenge, and she will get you signed up and ready to go! Remember, this is not a competition to see who finishes the 350 pull-ups first. The goal here is to complete the challenge!